Facet joint pain management provides relief from suffering, but may do so at great cost, depending on the modality of care employed. Pain management is a highly controversial topic in the modern healthcare system and creates an especially sensitive dialog among back and neck pain patients. In this focused treatise, we will examine the reasons for this controversy and how specific methods of symptom control fuel this fire of debate. Pain management usually has pharmaceutical overtones. This means that most people associate the practice with the application of powerful drugs to relieve pain and ease suffering. However, there are other non-pharmacological means of pain management, as well. Some of these alternatives can provide comparable results, without the risks commonly cited as being inherent to drug interventions. This very important essay examines the current state of the pain management industry and focuses on its work with facet joint syndrome patients. We will examine the methods of symptomatic relief that are available and how each compares in both efficacy and risk factors. If you are a patient who is currently using any form of pain management technique or product, or plans to use one in the future, then this article is a must read. Traditionally, symptomatic treatment is regarded as a poor substitute for proper medical care. Doctors are taught to find and address the underlying causes of pain, rather than treat pain as a separate entity. In all but the most hopeless cases, curative treatment is regarded as superior medicine to practices that simply relieve pain. The past few decades have brought a dramatic change in the practice of medicine, despite the theory behind pain management still being considered substandard. There has been a growing call from patients for pain relief, as it seems the modern human being is less capable of dealing with discomfort with each passing generation. Additionally, doctors have seen how unbelievably profitable symptomatic care truly is and have therefore forsaken their training and ethical obligations to medical science in favor of providing fast, easy and incredibly profitable facet joint pain relief. This trend has once again sparked the debate over symptomatic practices. Doctors who provide them claim humanitarian reasons, which are valid in cases where cures are impossible to achieve. However, the vast majority of pain management patients are not incurable and the true motivation for making money is clearly visible for any objective viewer to see. Critics tell that symptomatic treatment is counterproductive in most cases, enslaves the patient, often causes serious health complications and is catastrophically expensive for society as a whole. Drug therapies are the most popular and the most profitable. Doctors can literally get filthy rich by doing nothing more than writing scripts and gaining tremendous perks paid directly to them by large pharmaceutical companies. Drugs can be very effective for reducing pain, but are extremely toxic and can be deadly. More patients are injured and killed by drug therapies than by all other medical products and services combined. The number of casualties is staggering. Facet joint injections are simply more drugs, but taken via injection rather than orally. Injections usually also contain hazards in the substances utilized, much like oral drug therapies, but also demonstrate serious risks since they puncture the spinal anatomy and can cause a host of terrible negative consequences. Heat or ice might be surprisingly effective for some patients and conditions. Hypertrophic joints are often the best served using ice therapy, while heat might help general facet arthritis pain. Physical therapy is usually considered symptomatic care, but this modality can become curative in select circumstances. Occasionally, increased mobilization of painful facet joints can cause small symptomatic osteophytes to wear away relieving the pain. While this is a rare event, physical therapy is constructive care that provides health benefits, rather than risks and will help to maintain functionality, despite pain. Chiropractic is often used for pain relief, although why it works is subject to many different interpretations ranging from plausible and positive to critical and placebo-based. Acupuncture can be highly effectual for decreasing pain virtually anywhere in the anatomy. Some patients cite results that rival opioid drug use, which is an amazing statistic, especially considering the fact that acupuncture demonstrates virtually no risk factors. TENS is also controversial, since there is little objective research demonstrating its effectiveness, yet the system continues to be widely used and enjoyed for pain management applications. TENS has few risks for indicated patients, so it might be worth investigating. Pain coaching uses a range of practices that are all considered healthy and constructive. Pain coaching can be moderately to extremely effective, depending on the quality of the coach, their experience and the receptiveness of the patient to try something different than the traditional drug route. 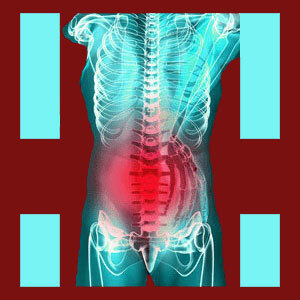 We understand that symptom control is an important part of treatment for most chronic pain sufferers. While we try to instill the value of curative treatments in our readers, we also know that not all patients are indicated for curative care and some have already tried and failed miserably with surgical endeavors and other dramatic care practices. When pain management is all that is left, we concede that the medical specialty deserves it place and proper recognition. However, when a cure is possible, symptomatic care is counterproductive and often dangerous. It should be avoided for many reasons, including the potential health consequences, economic cost and simple time-wasting that could be better spent pursuing a cure. If pain management is your path, we highly suggest finding methods that work without subjecting you to side effects that might be worse than the facet syndrome pain could ever be. After all, facet syndrome will not kill you, but the drugs used to treat it just might. We offer a fantastic option for patients to explore by recommending quality pain coaching for chronic sufferers. The Cure Back pain Network endorses The Chronic Pain Coach as the world’s best pain coaching provider and has worked closely with them developing our proprietary, critically-acclaimed pain relief program.